ROSWELL, GA – June 15, 2017 – Franchise Gator, the leading online franchise directory, announced the release of its Low Cost Franchise Buyer’s Guide for 2017 to assist individuals in the buying process when searching for a cheap or low cost franchise opportunity. The guide is the second in a series of industry buying guides the website plans to release over the next several months. Low cost franchises offer an option for entrepreneurs who may not have millions or even hundreds of thousands of dollars to invest in a business opportunity but seek the financial security and independence of owning a business. Typically ranging from less than $20,000 up to $100,000 in investment, low cost franchises are available in a number of industries. Franchise Gator developed the Low Cost Franchise Buyer’s Guide as part of its commitment to helping potential franchise owners gather the necessary information and take the correct steps in the franchise buying process. 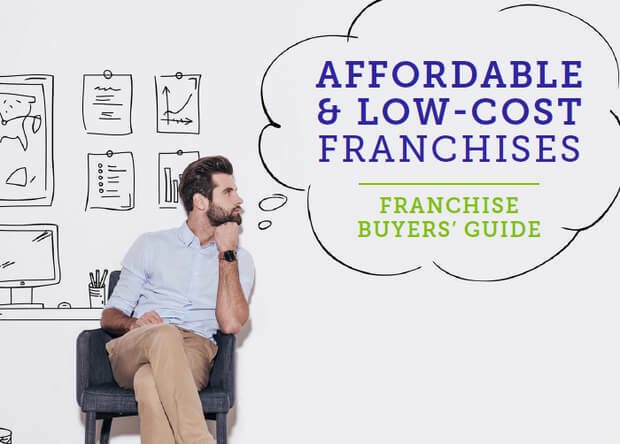 The guide helps potential buyers navigate the process by offering an overview of the industry, a look at the types of cheap and low cost franchises, the advantages and challenges of buying a low cost franchise, and more.